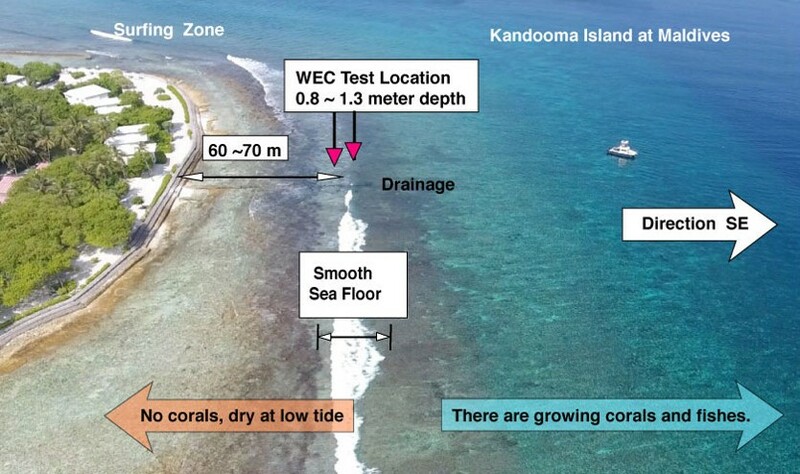 The Wave Energy project, which is kindly supported by Holiday Inn Resort Kandooma Maldives, will test prototype WEC-units on Kandooma island. The red arrow marks the experimental site location, where the stable swells are arriving from the Indian Ocean in a southeasterly direction. Half-scaled Wave Energy Converter unit prototypes in the lab at OIST. 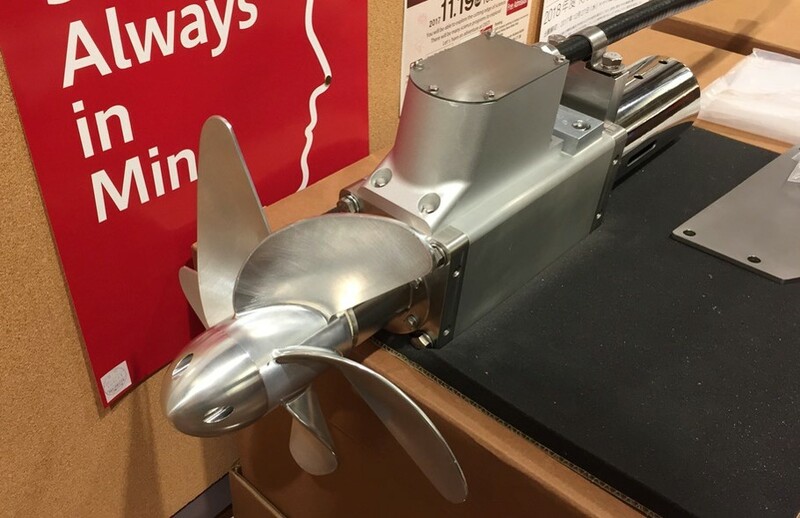 For simplicity, the prototype blade is not yet a flexible design but is made from high-tension duralumin. 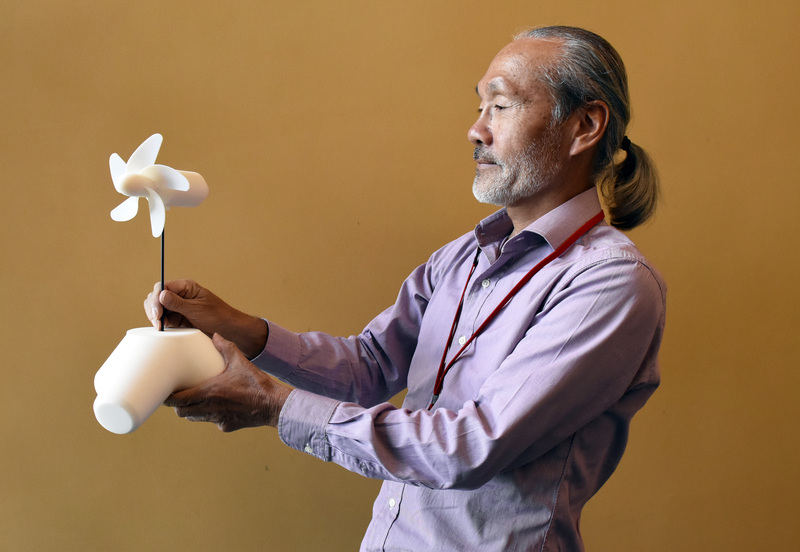 “The Maldives is an ideal place to test our Wave Energy Converters for three reasons,” says Prof. Shintake. Firstly, the Maldives needs new ways to generate electricity. Consisting of approximately 1,200 islands, there is no central power plant or way to transmit energy between islands. Currently, each inhabited island must generate its own energy supply, usually by burning fossil fuels. 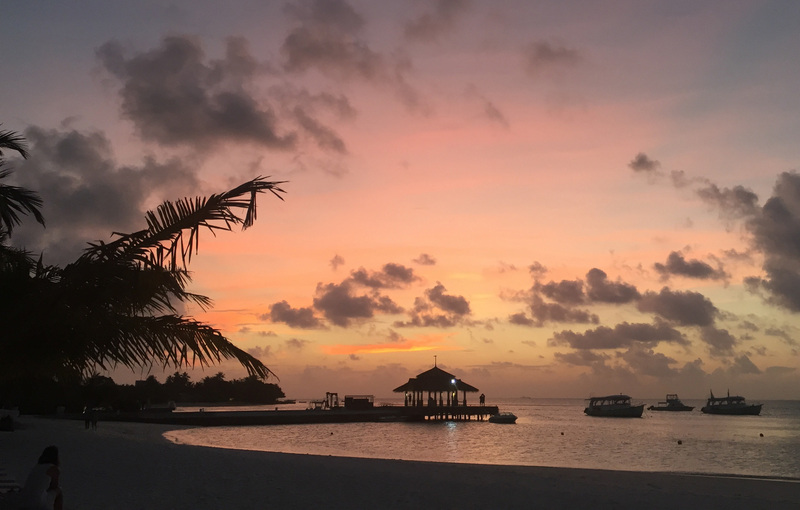 “The Maldives is a symbol of global climate change,” says Prof. Shintake. 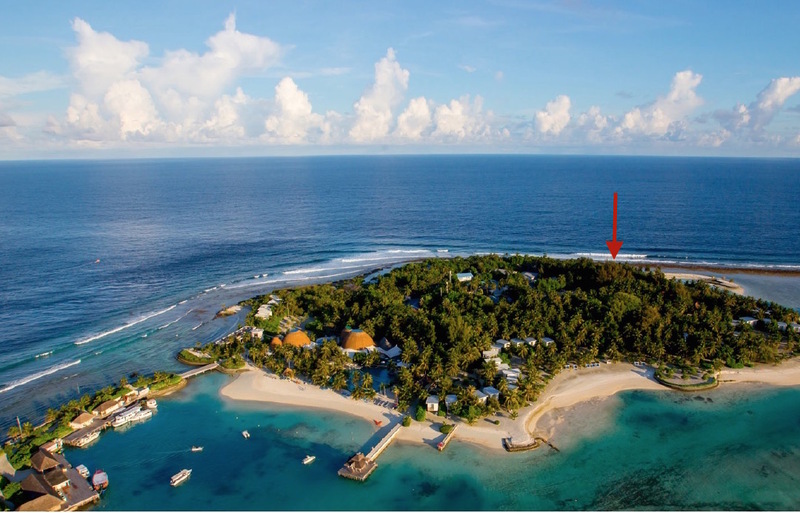 Due to the possible influence of rising sea levels, the Maldives has become symbol of global climate change. The Wave Energy Project is kindly supported by Holiday Inn Resort Kandooma Maldives. 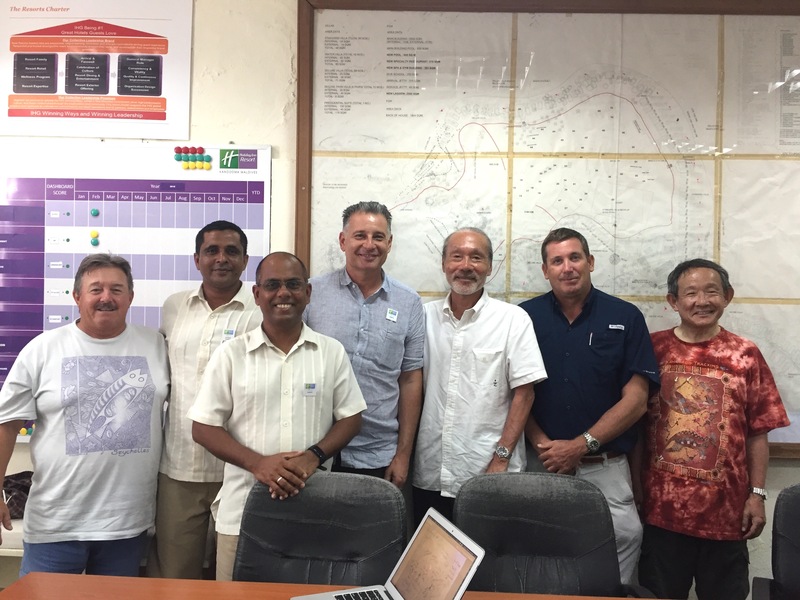 From left to right: Mr. Glenn Crandall, Mr. Hussain Hameed, Mr. Hussain Shahid, Mr. Joseph Della Gatta, Prof. Tsumoru Shintake, Mr. Hamish Taggart, Mr. Tetsu-nori Koyama.